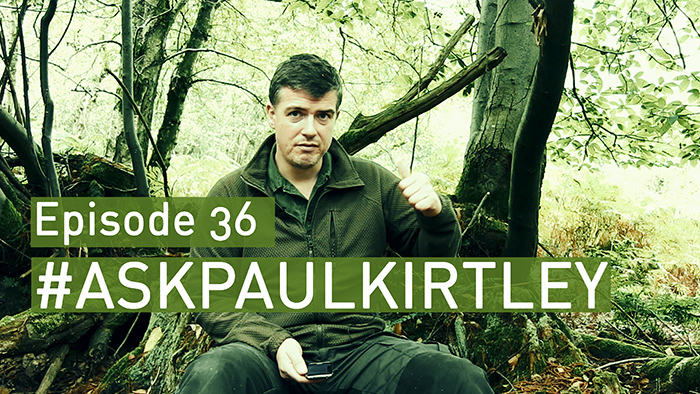 In this episode of #AskPaulKirtley I answer questions about how we might look after our teeth and nails without modern tools, natural meds and charcoal for stomach upsets, the edibility of beech nuts, bow drill woods NOT to use, shorts in the bush (are they a good idea? ), some curious rings around a tree, uses of Himalayan balsam and pot lifting – what on earth are we doing? Thanks for another useful episode Paul. I am so glad to know that my inability to get Oak to hold an ember, when bow-drilling, is not totally down to my technique, or running out of puff when trying it. All the best, keep safe and keep up your exceptional good work. Dave. It’s good to hear from you and I’m glad this particular episode held some useful info for you. Thanks for watching/listening and your feedback. Hi Paul, Thanks for that, always good to get your opinion on these things, sound’s similar to hazel nuts, I’ve heard some people have had an upset stomach after eating too many raw cob nuts. That said i used to scoff them down when i was younger and never had any problem, maybe im half billy goat .Will have to have some tasting sessions. Thanks for all your hard work. Much appreciated chief. Thought you had forgotten me for a while. I’m the same re beech nuts. Never had a problem eating them and have eaten reasonably large quantities in the past. Thanks for your comments. Yes, holly and ash both have a tendency to be too hard when well seasoned, particularly holly. How big/strong are you Paul?